I’ll be the first one to admit that I am notorious for getting lost. I’m glad we live in a world where we have GPS units for our cars, some cars even come with it standard. So it makes wonder why GPS on watercraft is not standard? 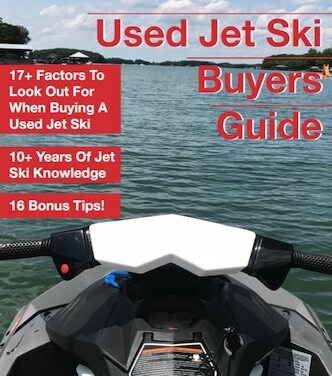 The good news is that you might already have a GPS unit for your jet ski right now. I have for years used my iPhone GPS to find the house I need to go to do deliveries of new watercraft. All you got to do is place the address of the house (your home) into your phone and it will place a point to where you need to go. Make sure you have a dry bag if you do use your phone. I’ve had people think I’m stupid for this because they think the “Google Maps” only works for roads. But where we’re going we don’t need roads! All you need to know is that the blue dot is where you need to go and you’re the triangle. If you ride on Lake Norman in North Carolina then there is this app you can get to show you the best route to take. Using the phone can be a great way to get GPS, especially in a pinch. The phone has many problems as using it for a GPS on the water. One of the obvious ones is that most phones are not waterproof. Let’s not forget the all important worry of dropping your phone in the water while on your watercraft. Some service providers will void the warranty if the phone gets wet leading us to need a better option. The other worry is that most lakes and even the ocean don’t have good signal to support the data needed to do a map. This is a major problem for me as I don’t have the best provider on the market (I’m cheap!). The Best solution is to get a hiking or even a water GPS for your Jet Ski. 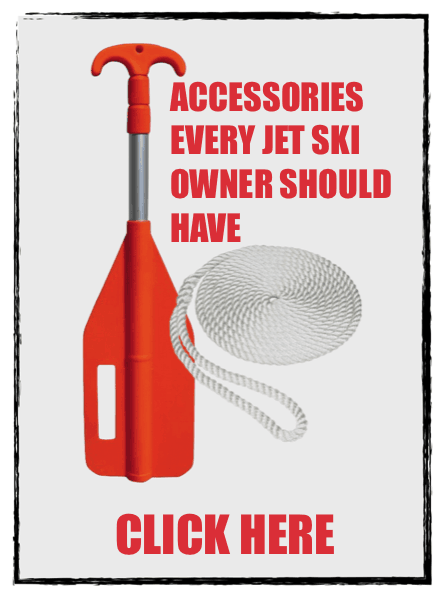 These can be costly but are made for events like riding your watercraft on the lake. My personal favorite GPS for my Jet Ski is Garmin GPSMAP 78 2.6-Inch Marine GPS Navigator and Worldwide Chartplotter. This thing not only is water proof but also floats. I also like how it fits in my pocket and the small areas of the watercraft. This is important because you never really realize how much space you don’t have until you need to put stuff in your jet ski. Another perk of this style is that it can take a beating. When riding around its going to bounce around in the storage of the watercraft and being durable is important. Also having the color screen is nice, some GPS sold today still use the lame black and white LCD screens. You’ll need a MicroSD card since it doesn’t hold much memory. This is the MicroSD card I use for mine. Plus the prices of the mounts are so cheap it’s well worth it. One can always use their old GPS unit to navigate on a pwc. I have our old Garmin Nuvi on our boat. Works great and dims automatically at dusk. Sure, whatever works for you. Just keep in mind that most states you can’t drive past sunset. I like using my iPhone since I always have it on me, but I rather use an old GPS just in case I drop it.